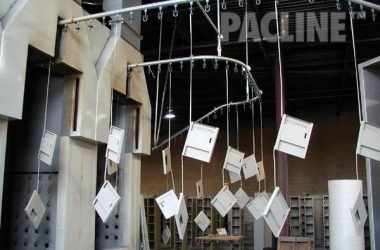 PACLINE Enclosed Track Conveyors are designed to handle 50 lbs. (23 kg) from single pendants, which are standard on 6” centers. 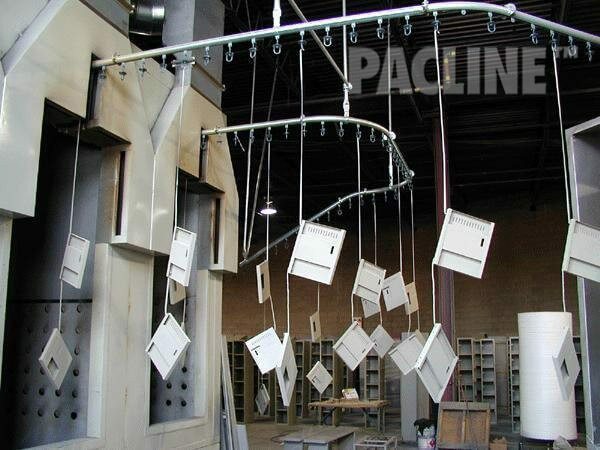 Coupling two pendants with a load bar allows up to 100 lb. loads. Distributed loads up to 30,000 lbs. can be conveyed on a 600 ft. system with only one drive. 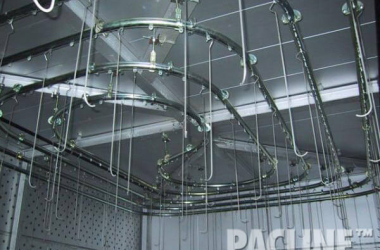 Modular track components ensure quick, trouble-free, onsite installations and modifications with reduced installation labor costs and minimized downtime. 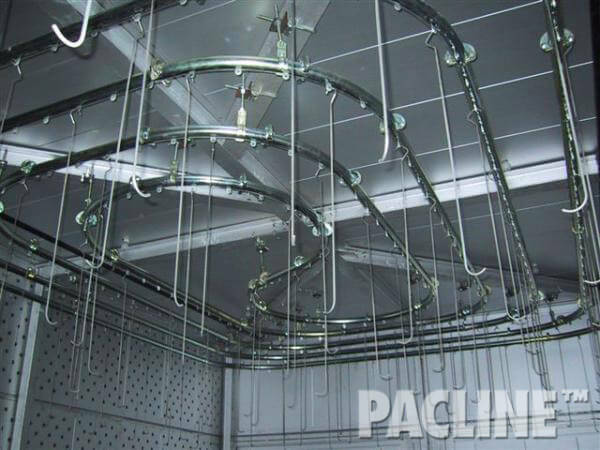 Bolted track design for easy installation without welding. All parts are zinc plated and heat treated to ensure full protection from wear and resistance to corrosive environments. Low profile drive and track and tight radius curves on both horizontal and vertical planes. 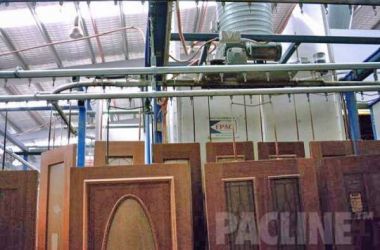 Enclosed track prevents contamination from reaching chain and bearing surfaces for reduces cleaning and maintenance costs. Chain attachment points on 6” centers maximizes versatility of hanging products. 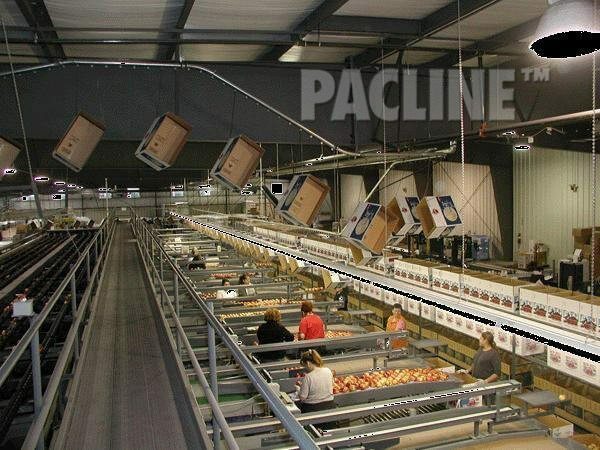 The PAC-LINE™ Enclosed Track Overhead Conveyor is a proven performer with over 2 million feet of conveyor in use today. 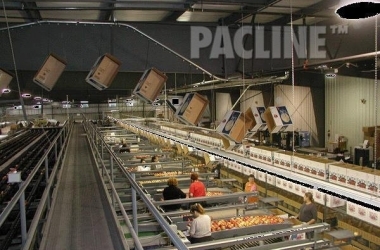 The PAC-LINE™ is best suited for “slot down” applications where the load is beneath the conveyor track.